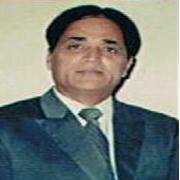 B.K.KARKRA* : Next to God, people are supreme in democracies as well as in dictatorships. Even dictators often invoke God and people to stay in power. When the people get after them Louis`s get guillotined, Charles`s get beheaded, Shah`s get kicked out of their countries and prime ministers are made to eat humble pie. This part of reality should not be lost sight of when we try to understand the implications of our Supreme Court`s judgement on the issue related to appointment of the judges of the higher judiciary by the National Judicial Accountability Commission. The three organs of the state i.e. legislature, executive and judiciary have been perpetually struggling for supremacy over one another ever since the democratic orders came in to being in the world. This sort of jockeying for power is quite in human nature and is not an unhealthy phenomenon either for that matter. This, in fact, helps in keeping the power structure of a country in a state of equilibrium. In the United States of America judiciary has generally been quite dominant. In France, it is the executive that has the edge over the other two organs of the state. In the United Kingdom, it is historically the legislature that rules supreme—-a judicial commissioner there who attempted to challenge this equation was promptly put to death. The question is who among these organs should have the privilege of the last word. The answer to this is seemingly simple. The one that truly reflects the will of the people is entitled to hold this pole position. However, to understand which of these organs is the real repository of the people`s will, we shall have to begin from the beginning. Firstly, our Constituent Assembly that has given us our Constitution did not represent whole of the country properly. Secondly, the members of this venerable body also did not have any experience of working in a sovereign ethos. Thirdly, it is a fact that the founding fathers of our Constitution have made a good job of the task entrusted to them. After all, the statute framed by them has stood the test of times and has commanded the habitual obedience of the people over more than 65 years. Fourthly, it is also true that no constitution can be above the people and it certainly cannot over-ride the contemporary needs of the country. In fact, its sanctity lies in its ability to meet these needs. None other than Jesus Christ has said that the laws are meant for people; people are not meant for the laws. Thus, a new constituent assembly could always be brought in to being to work out a new statute in case of a really compelling need. This need would immediately arise if one or the other organ of the state happens to destabilise the power equilibrium in the country. Our Lok Sabha is directly elected by the people through ‘a-winner-takes-it-all’ system and not the principle of proportional representation. Thus, a large bulk of members of this august house does not represent the majority of voters in their respective constituencies. The political parties themselves often come to power on much less than 50% vote. Besides, many extraneous factors like dynastic magnetism, intimidation, money power, caste, religion, regionalism etc. play their dirty part during the elections. Thus, every legislature has an uncomfortably high number of members with criminal record to preside over the destiny of people. In the circumstances, it is difficult to say whether our Lok Sabha and the state legislatures truly radiate the will of the voters. Just imagine, the Constitution being amended merely to nullify the judgement of Justice J.L. Sinha of the Allahabad High Court to safeguard the interest of just one individual— Late Mrs. Indira Gandhi. The conclusion, therefore, is that even legislatures need to remain subject to some sort of check. Nonetheless, the Lok Sabha and the state legislatures reflect the will of the people more than anybody else. People have an indirect hand even in the election of the Rajya Sabha and the state legislative councils. They had a minor say in appointments to the higher judiciary also, till their elected representatives had some hand in appointing judges. Ever since the ‘collegium-of-judges’ system came in to vogue, this small connection also stands snapped completely. Now the higher judiciary cannot, in any way, claim to represent the citizenry of the land. The country`s executive stands hyphenated with the legislature. The leader of the majority dispensation in the Lok Sabha becomes the Prime Minister of the country. His Cabinet remains accountable to the Parliament all through. The moment their government loses the confidence of the legislature, it is shown the door. So there are no accountability problems here. It is true that the judiciary has done commendable work so far to restore balance of power in our country. This has been possible because the judiciary has enjoyed independence all through. At no point of time the other two organs of the state have been able to trifle with it. Judicial independence, undoubtedly, is one of the basic features of the Constitution. However, can the idea of judicial independence be stretched so far that the country has to accept the obvious risk involved in leaving the judicial accountability in the hands of a handful of judges exclusively? After all, the judges are also human, carrying all sorts of ego problems and prejudices within. They should also, in all fairness, accept some outside control over them, like they themselves and the people keep an eye over the legislature and along with the legislature, they exercise legitimate control over the executive too. People`s perception seems to be that judicial independence is truly a holy cow and it must not be fiddled with in any circumstances. However, at the same time, judicial accountability is equally important. Ways and means must, therefore, be found to marry these two needs satisfactorily. The Supreme Court has itself concluded in its judgement that the existing ‘Collegium-of-Judges’ system has its own flaws. It was in this context, that the N.J.A.C. that still gives dominant say to the judiciary in the matter of appointment of judges (though not the exclusive say) was brought into being through a constitutional amendment. With both the houses of Parliament passing it unanimously and twenty state legislatures endorsing it, it should be clear to all that it does carry the proper mandate of the voters who voted in the last elections. It for the Hon`ble Supreme Court to think if by throwing the amendment out, it has not pitted itself against the so clearly expressed will of the people. Judges appointing judges and then these judges asserting their authority to overthrow any law, including constitutional amendments, passed by the legislature, clearly points towards the judiciary wishing to assume the privilege of the final word which should rightfully belong to the representatives of the people. The way out of this situation is that the Hon`ble apex court should do some introspection and instead of going for the reformed collegium system should accept the N.J.A.C. with some amendments. Perhaps replacement of the Law Minister with the Vice-President in the Commission should meet its acceptance.